The incidence of diabetes is evolving rapidly favored by the growing obesity of populations all over the world. NP01 is an AONYS® microemulsion in which the active agent is a vanadium salt solubilized in the aqueous phase of the reverse micelles and used at lower doses. NP01 increases insulin sensitivity by mimicking and increasing the metabolic effect of insulin in its target tissues. The global market for type 2 diabetes will double between 2015 and 2025, with US $31 billion in 2015, and $59 billion expected in 2025, representing an annual growth rate of 6.5%. 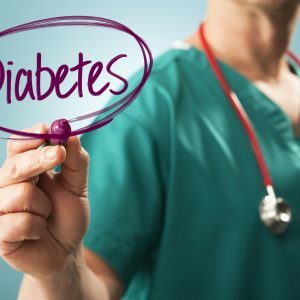 To complicatethe global diabetes epidemic, health professionals are witnessing an alarming increase in inflammatory diseases resulting from the onset of type 2 diabetes in adults. This symptomatology is related to Metabolic Syndrome which is gradually taking place, which favors degenerative pathologies, primarily cardiovascular, strokes, and more recently demonstrated in an increased risk of contracting Alzheimer’s disease. It has been demonstrated in numerous scientific publications with vanadyl sulfate and with NP01 leads to decreases in plasma glucose levels and plasma lipid levels together with increases in peripheral glucose uptake, and insulin sensitivity, and normalization of liver enzymes in animal models of type 1 and type 2 diabetes. Despite the demonstration of this therapeutic activity, vanadium has not been developed into a drug for chronic treatments because it is very poorly absorbed both at the digestive and cellular levels and requires high doses to be administered generating significant digestive intolerances. 4- to 6-week studies in diabetic patients with doses of 150-300 mg / day (30-60 mg metal). NP01 has the same therapeutic activity with doses 1000 times lower than those used with vanadyl sulphate. Long term toxicology studies of 13 weeks were conducted on rats and dogs with doses 100 times higher than therapeutic doses with good tolerance. The doses planned for a phase 2 clinical trial are 20 and 40 μg / day in patients with type 2 diabetes. For information purposes, the level of vanadium present in the diet is of the order of 30 μg / kg, and of 60 μg / kg in the Mediterranean diet.